"Why in God's name would you not use ethanol?" OBERLIN, OH - June 22, 2010: When Nissan introduced the latest R35 version of its GTR Skylines in 2008, the international press was quick to nickname the car “Godzilla” - as much for the car’s size as for its fire-breathing performance - and Nissan was equally quick to call the car both “perfect” and “untunable”. 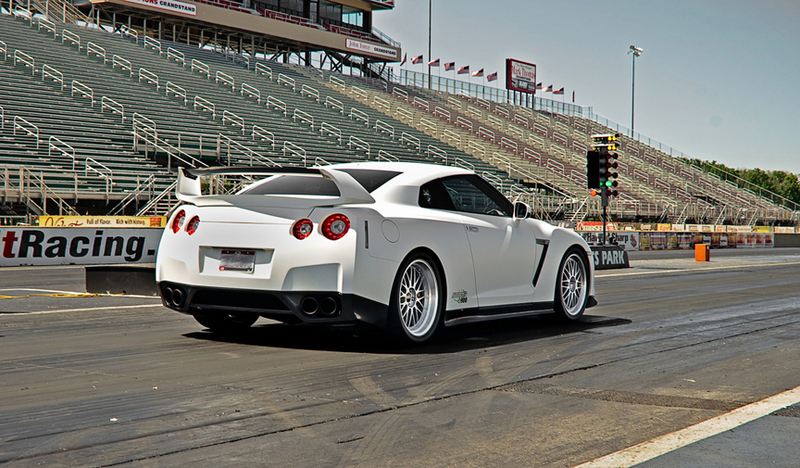 That “perfect” label is a matter of opinion, of course, but enough GTR buyers felt the car lacked sufficient oomph that a number of tuning firms began to lay waste to the idea of an “untunable” car, building massively-powerful GTR Nissans along the way. One such firm is Tym Switzer’s Ohio-based Switzer Performance, and their massively-powerful GTR is called the P800 - a comprehensively tuned 800 hp track-weapon that’s as much at home on Main Street as it is on the back straight. Of course, there are some enthusiasts who will always want more - and when one of these enthusiasts contacted Switzer about pushing the P800 GTR to the limit, the crew at Switzer Performance got to work developing the car you see here. The next thing Switzer needed to address to keep “pushing the GTR forward” was fuel. “We didn’t want to just deliver a race-gas package that tethered the client to a fuel drum in his garage, but we wanted to be able to turn up the boost, also.” The solution? Readily-available E85. The final product - dubbed the E900 for “Ethanol fuel, 900 hp” - is a fast, capable package that offers linear power delivery and massive midrange torque with superior transient response compared to larger-turbo/race-fuel combinations, while maintaining a bit of environmental responsibility along with its blistering sub-6-second 60-130 mph acceleration.